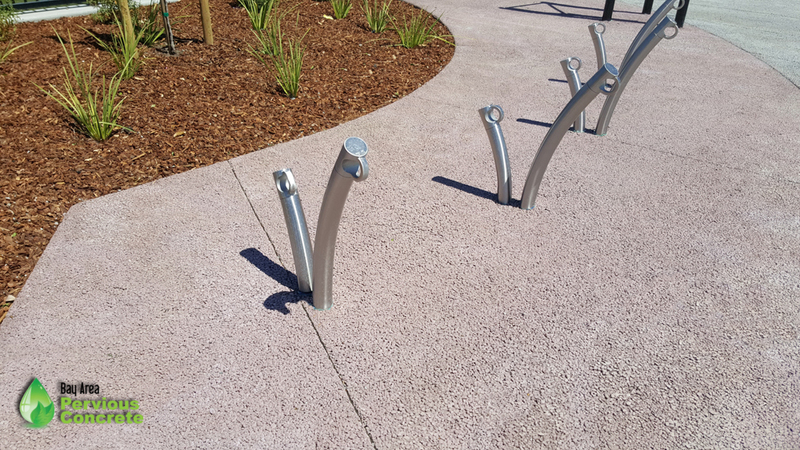 Tamien Park is the newest park in San Jose, one that the community has been waiting years for. Since 2009 residents have spent countless hours in city meetings to help bring this family-friendly park to their community. Designed to meet the needs of the family-oriented community the 3.5 acre park features a playground, picnic areas, basketball court, multi-use fields, and eventually an exercise station, Tai Chi area, community stage area and jogging path. Along with all those amenities, Tamien park was also designed to manage all of its stormwater on site - 90% of the park's 3.5 acres are permeable! Excluding the basketball court and park's exterior sidewalks, all the surfacing materials selected are permeable. Pervious concrete was seleceted for all of the picnic areas and walking pathways throughout the park. The design of the pervious concrete features Bay Area Pervious Concrete Classic Pervious Concrete™ in multiple colors. The choices made in the scoring pattern and color palatte make it a prime example of how pervious concrete is anything but boring. Take a closer look in the gallery below. As part of a larger neighborhood redevelopment project near the Tamien VTA and Caltrain Stations, the park itself is a two phase project, with the first 1.4 acres of phase one wrapping up now. Even while David was taking pictures for this blog post kids were standing outside the construction fencing asking him when the park was going to open. The anticipation and excitement are high for this long-awaited addition to the community. The upcoming phase two will be the remaining 2.1 acres of the park that includes the larger natural turf soccer field, community stage area, Tai Chi area, exercise station, jogging loop, and even more pervious concrete walkways. 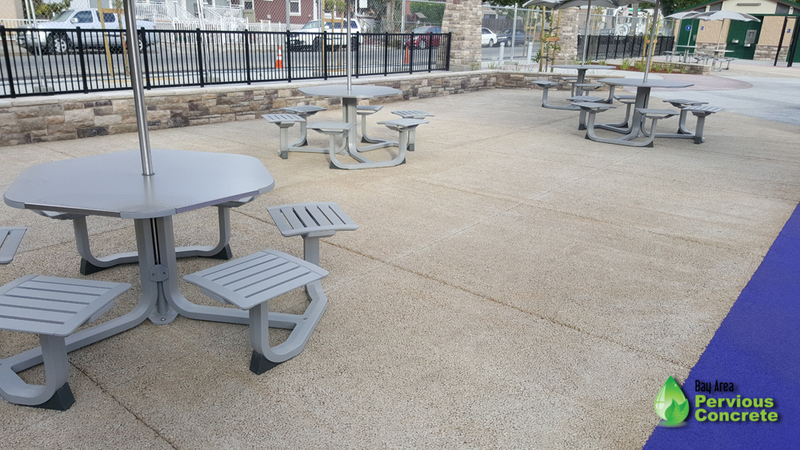 Tamien Park is a great example of a city listening and working with residents to create a space that really meets the needs of the community. It's also a great example of how landscape architects and civil engineers can take an idea and utilize materials to minimize the environmental impact through low impact design. If you visit the park, let us know what you think!